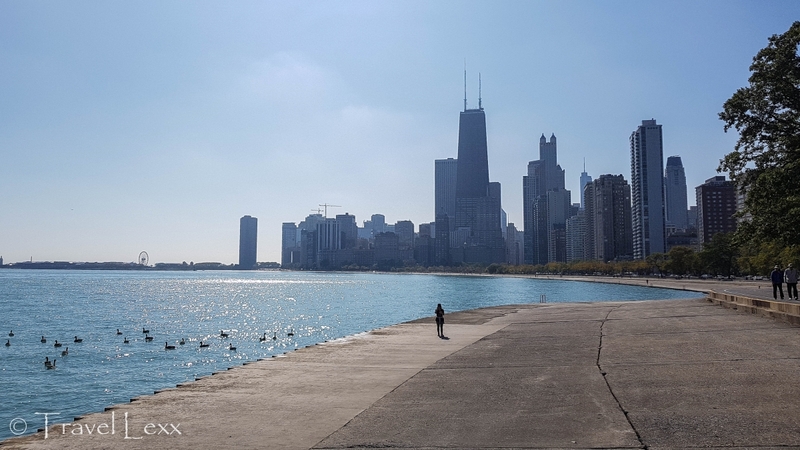 What: The Lakefront Trail brings Chicagoans and visitors together – people use it for commuting, exercising, sightseeing or just strolling around. It’s a fantastic way to keep active with dedicated jogging and cycling paths and great scenery to keep you company. 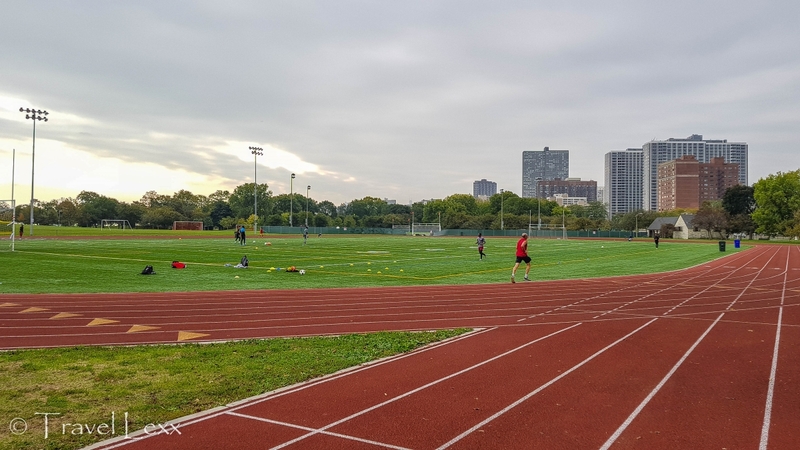 It’s even used as a Chicago Marathon training route! The trail is well signposted (with markers at every half mile) and there are plenty of restrooms and places to stop for refreshments. Where: Chicago Lakefront Trail runs from Ardmore Avenue in the north to 71st Street in the south. 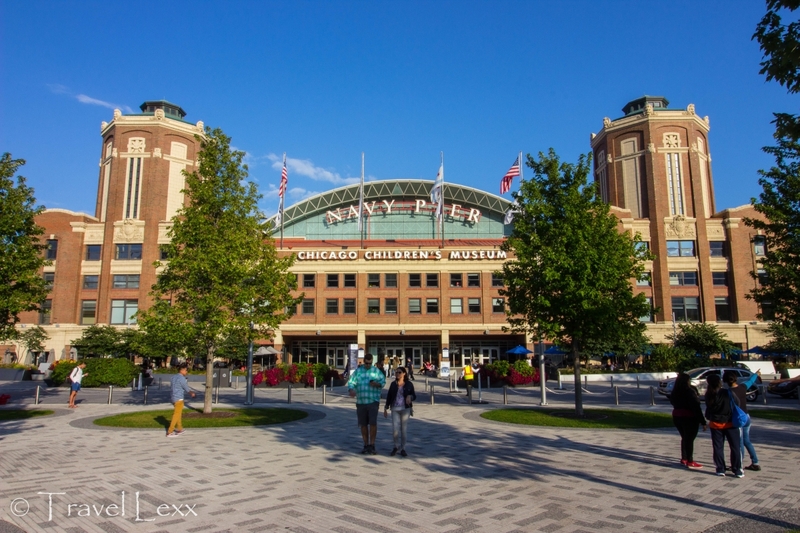 You can join the trail anywhere along the route but my favourite access point is Ohio St, not far from the Navy Pier – it’s Downtown, easy to get to and you aren’t far from the halfway point of the whole thing, making it possible to split the trail into smaller chunks. 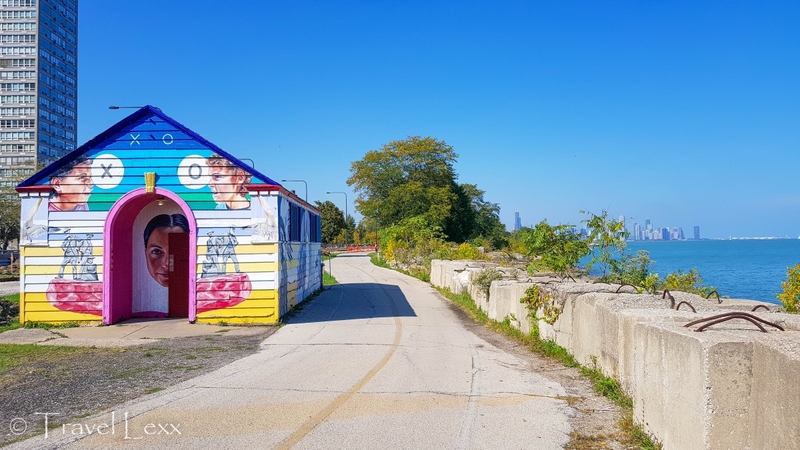 How: You can explore Chicago Lakefront Trail on foot but the best way to see everything it has to offer is by bike. I recommend Bobby’s Bike Hike Chicago who have rental bikes in their store a stone’s throw from the trail. They also do fun bike tours that allow you to explore the city with a local guide. Bikes start from $10 per hour’s rental or from $25/34 for half/full day. 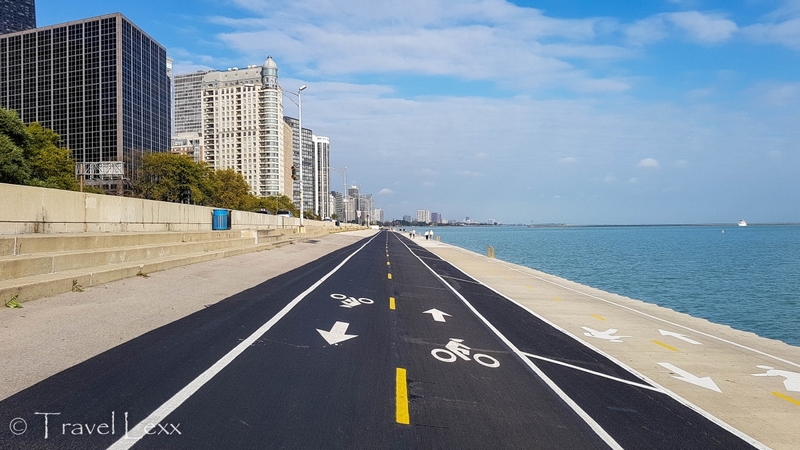 The Chicago Lakefront Trail can be roughly split into two halves – North and South. Both have plenty to keep visitors occupied along their length. I cycled the entire trail twice (to see everything it has to offer) and here are my picks for things to see and do! 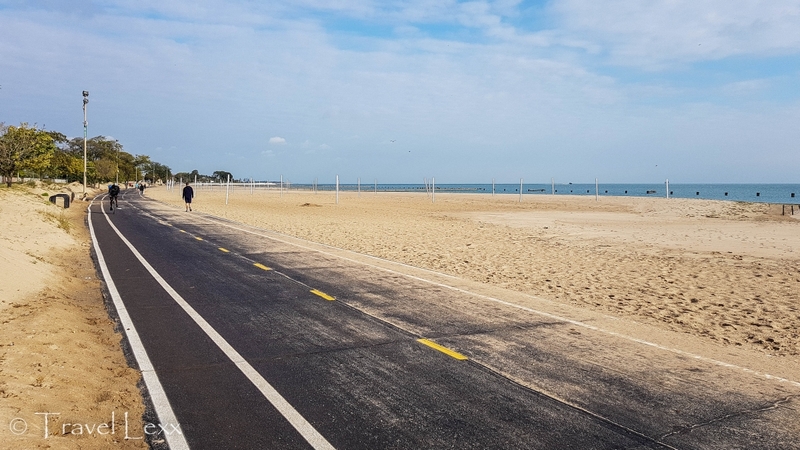 Tackle the northern half of the Lakefront Trail to check out the city’s best beaches, affluent neighbourhoods and the famous Lincoln Park. Head north and round the corner past Oak Street Beach and then stop and turn around. The view of the Chicago skyline, dominated by the iconic John Hancock Center with its twin antennas, is simply awesome. Beaches are probably not the first thing that comes to mind when picturing Chicago. However, summer months bring the crowds to the shores of Lake Michigan who enjoy sunbathing, dips in the lake and spontaneous volleyball games. 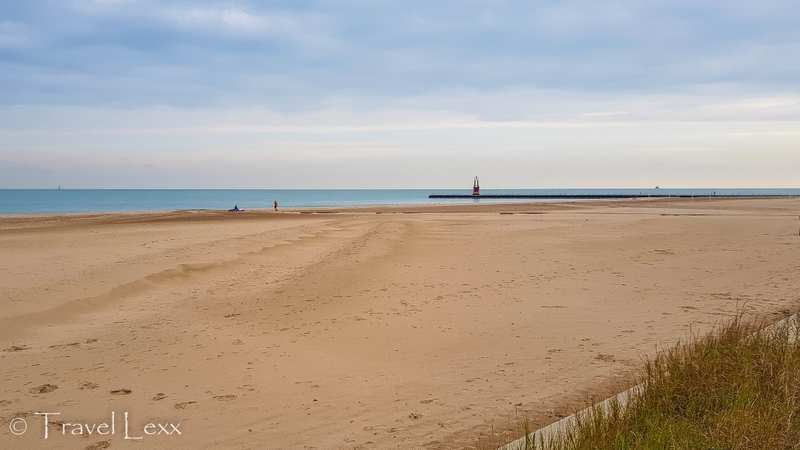 The most famous of them is Oak Street Beach but there are many others, especially the further north you go along the trail. 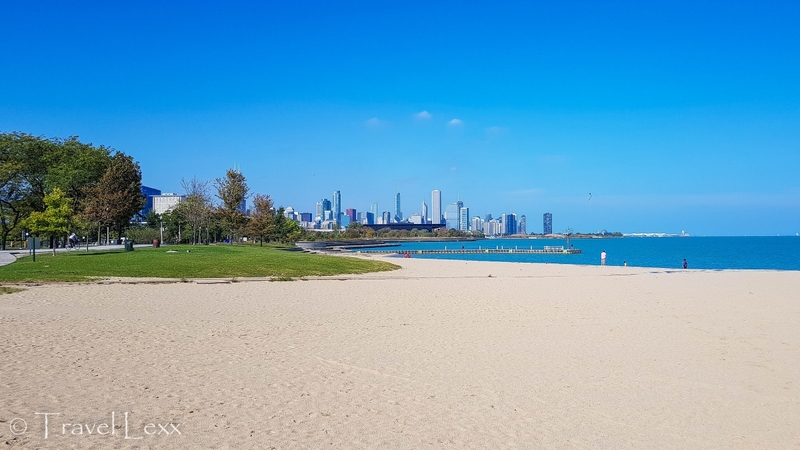 North Avenue Beach is always popular, Montrose Beach has an adjacent bird sanctuary and Osterman Beach is a great place to take a break at the Northern end of the trail. 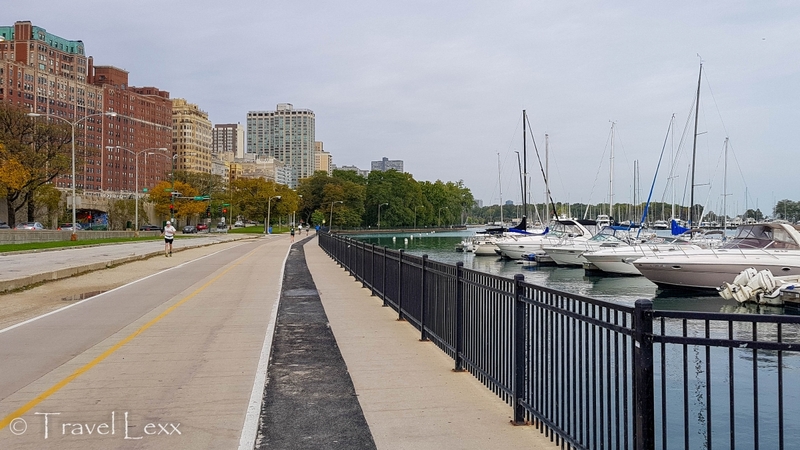 The Lakefront Trail passes some of Chicago’s most affluent areas, including Gold Coast and Lincoln Park. 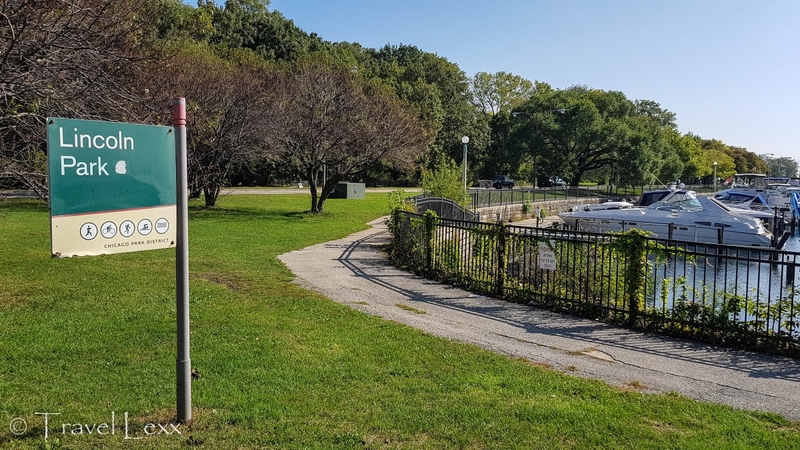 You can continue along the trail, cycling through Lincoln Park past Belmont Harbor or walk along some of the park’s trails and check out its famous zoo. 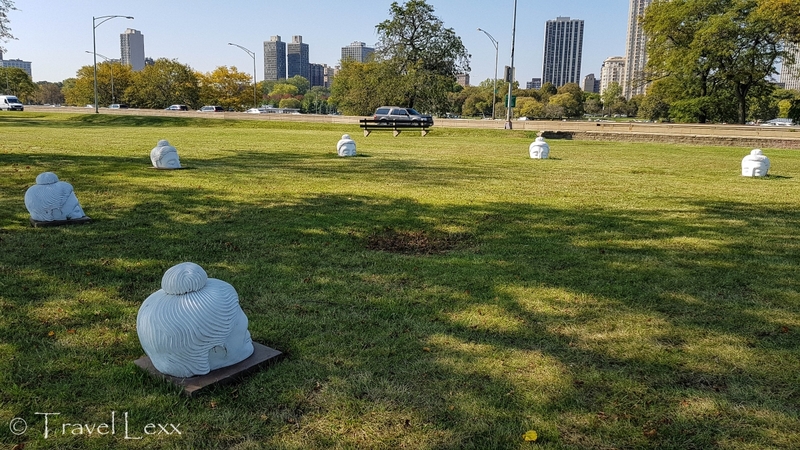 The north part of the trail is busier and presents some great opportunities for people watching – joggers going for their morning runs around a track, golfers teeing off next to a historic clock tower and dog walkers strolling by the lake. 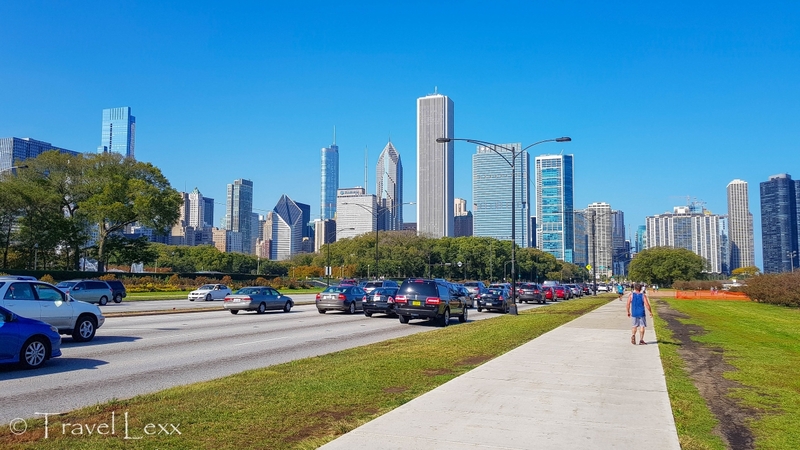 The southern half of the trail takes in some of Chicago’s best sights while also being less busy once you pass the main attractions. 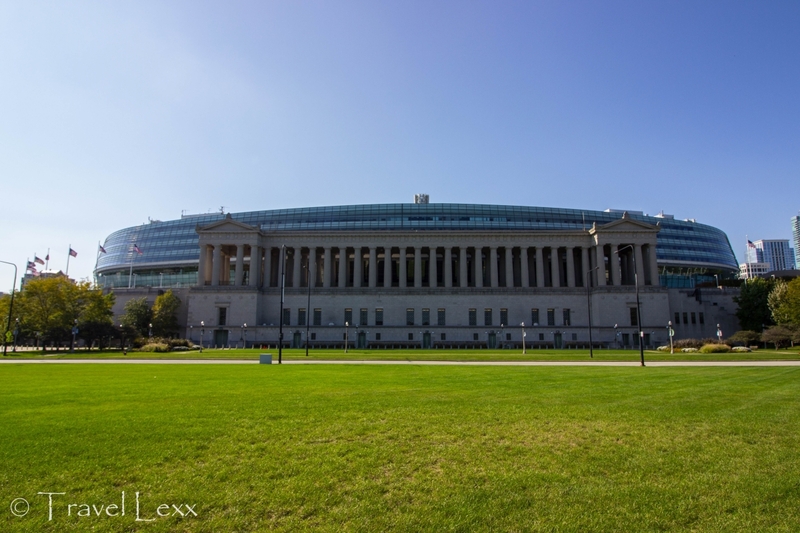 The Lakefront Trail runs past 100 year-old Navy Pier, Grant Park, Shedd Aquarium and Soldier Field football stadium among others. It’s possible to break up tackling the trail with visits to these and many other attractions. In contrast with the northern part, the southern half of the trail is a lot quieter. There are beautiful views of the city and the lake and there is a lot less bike and people traffic to contend with. While the stretch around Navy Pier, Grant Park and the Museum Campus is pretty busy, once you continue a bit further, the crowds disappear. Oh, and the beaches are quieter too! Check out 31st Street Beach with its adjacent marina. Not to be outdone by the Northern half of the trail, the Southern part also has cool art along its route. 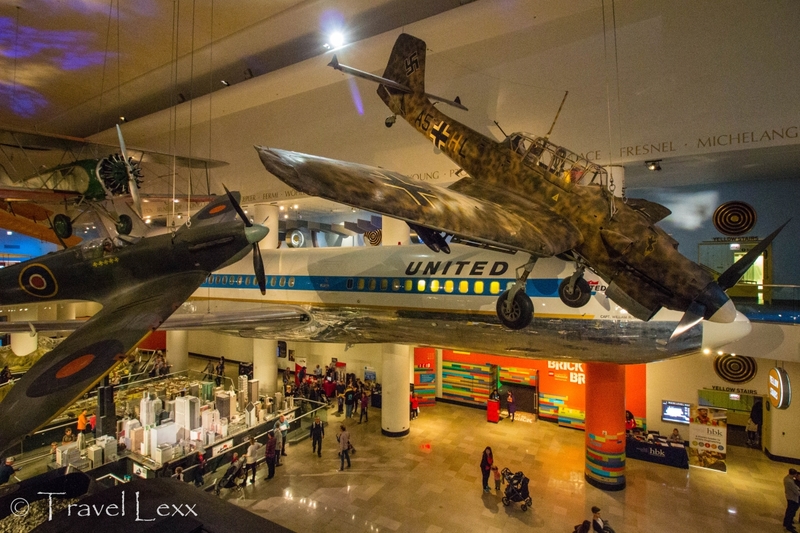 One of Chicago’s most popular attractions, the Museum of Science and Industry is a must visit for anyone exploring the Windy City with kids in tow. While accessible by bus and train from the Loop area, getting here by bike is way more fun and adds to the adventure. You can glimpse the impressive building, the only one remaining from the 1893 World’s Fair on your right as you pass the 15 mile marker south/3 mile marker north. 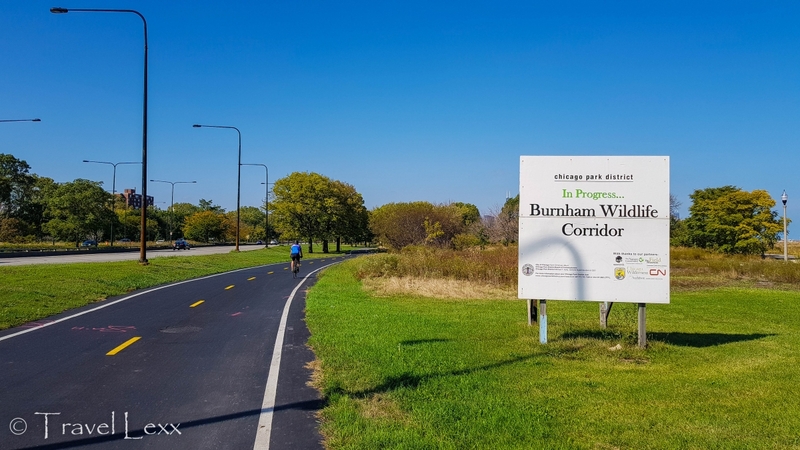 The Burnham Wildlife Corridor runs alongside Lake Shore Drive and is an important initiative which provides migratory birds and local animals with a safe haven. Trees and shrubs have been planted in place of invasive species and the area is thriving. There are also a series of “Gathering Spaces”, designed to bring people together. One of the greener and calmer parts of the trail. 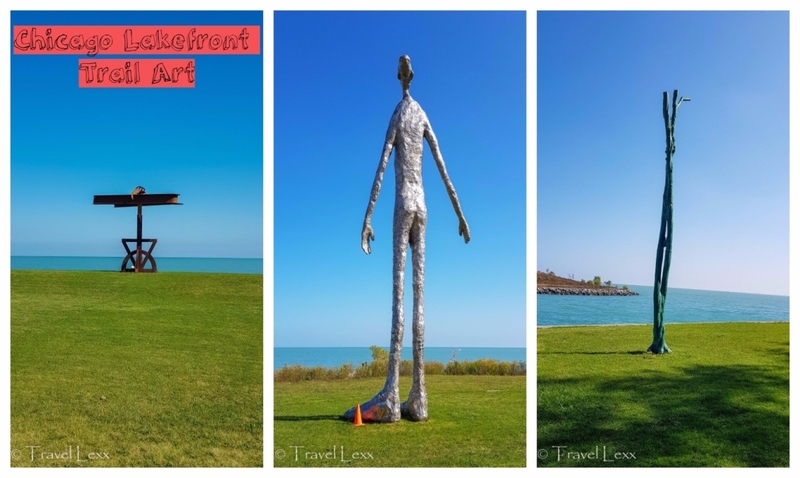 Have you explored the Chicago Lakefront Trail? Do you have any other favourite cycling destinations? This entry was posted in USA and tagged active, chicago, cycling, jogging, lake michigan, lakefront trail, lincoln park, usa. Those trails looked awesome. Would love to bring my bike over there and cycle this trail! Yeah there are a lot of people out on the trails from tourists on a city break to pro-looking cyclists! Thank you! Chicago is a fantastic place to visit and feels so much more chilled out than NYC. Definitely somewhere I recommend and if you do go – give me a shout and I can help with recommendations! I love seeing all of the bike lanes. My daughters and I want to do a girls’ trip to Chicago soon. 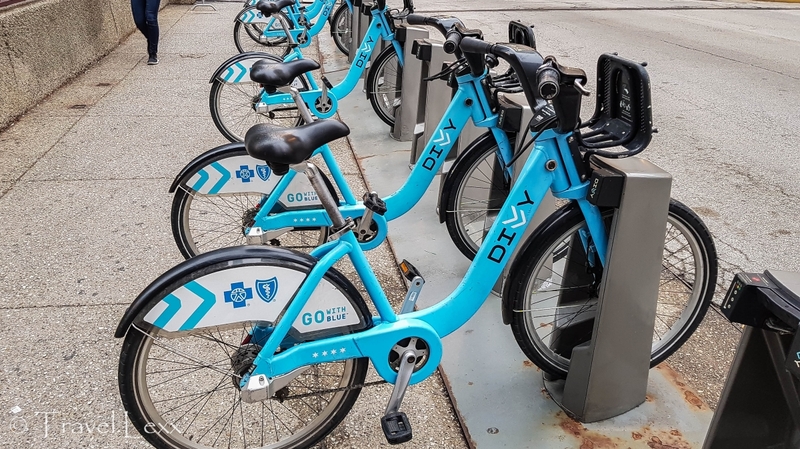 We love our bikes, and it looks like a great way to explore the city! Ah you guys will absolutely love it! So many cool places to explore by bike and then plenty to keep you occupied elsewhere! I was waiting for that post! I enjoyed your Instagram story as you were cycling there-truly a beautiful place to take it all in! I definitely love the fact it helps keep fit when you travelling and well the skyline is totally worth it! Good on you for doing it twice! Yeah was definitely one of the highlights of any of my visits to USA let alone just this trip! The more I visit Chicago, the more I fall in love with it. The views are pretty awesome, aren’t they?! Keeping fit is one of the biggest challenges whilst traveling. 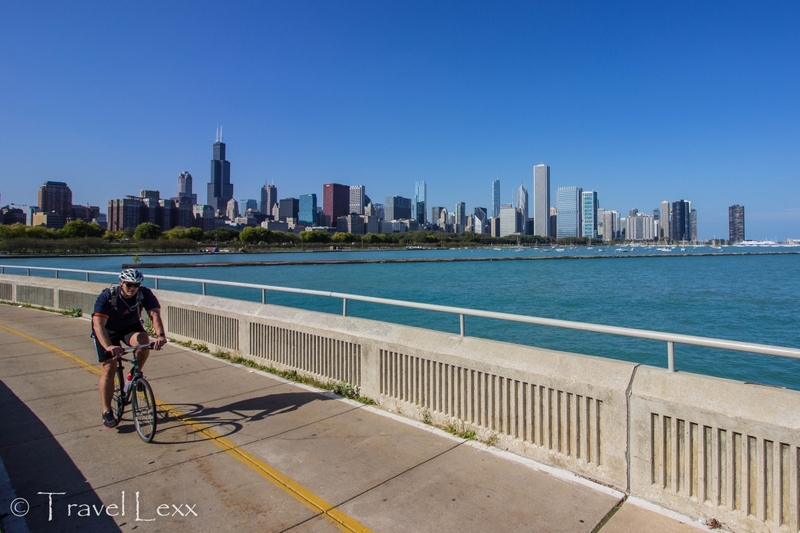 In Chicago, going for a run or cycling on the lakefront trail looks perfect for keeping fit. It’s a bonus that it passes so many of Chicago’s points of interest as well. Yeah it really is in a perfect location and offers so many things to see and do! Thanks Shona – yeah two chunks would be perfect. Doing it in one day was a bit tiring, especially because of the sun but I am still glad I did it! I have never visited or heard much about Chicago before so it was really lovely to learn more about it. You were lucky with the weather, the skies look so beautifully blue! Sadly, that was the only nice day of the whole trip! So definitely chose the right day for cycling! The geese definitely weren’t moving for anyone! You are right, without the bike I wouldn’t have been able to see anywhere near as much of the trail so it was a great decision! Close, it was half a day! I think I may have gone over a bit but they didn’t charge me extra!Yeah the beaches look inviting – I would definitely have stopped for a dip in the summer!